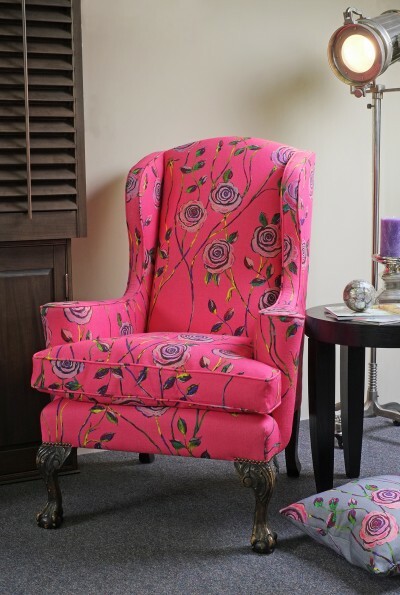 Pop Art Rose Chair in Interior. Pop Art Rose Chair with cushions. Pop Art Rose Chair front view. 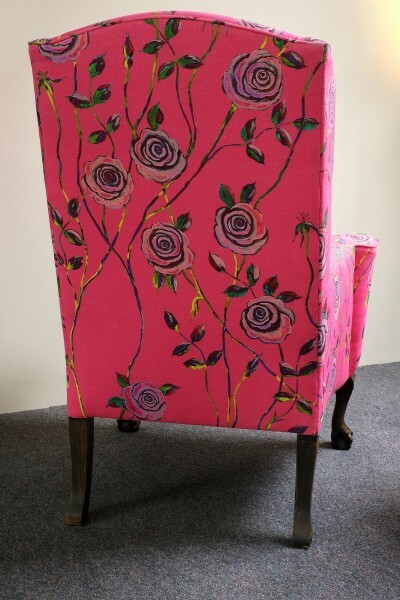 Pop Art Rose Chair back view. 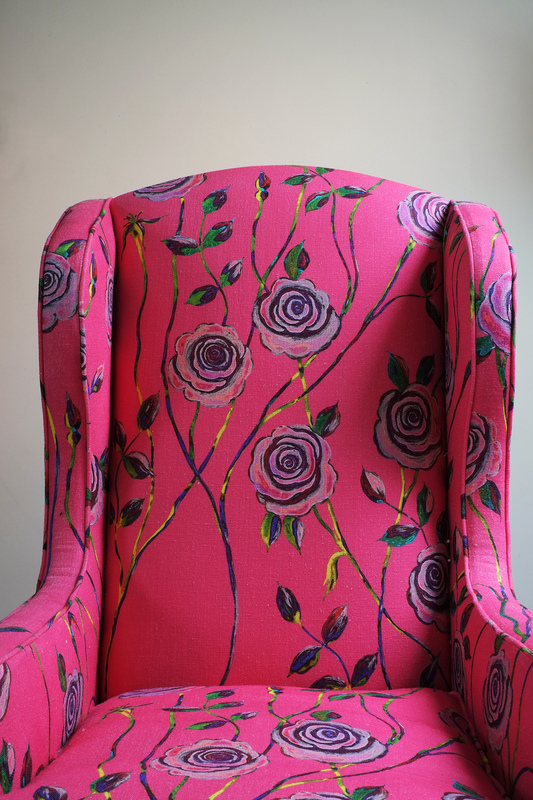 Pop Art Rose Chair Close up. Pop Art Rose Chair. Fragment. 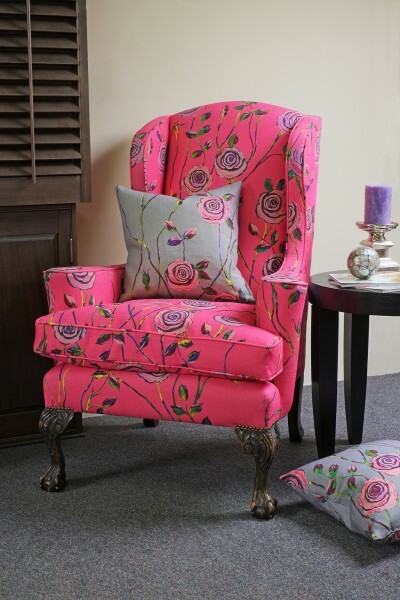 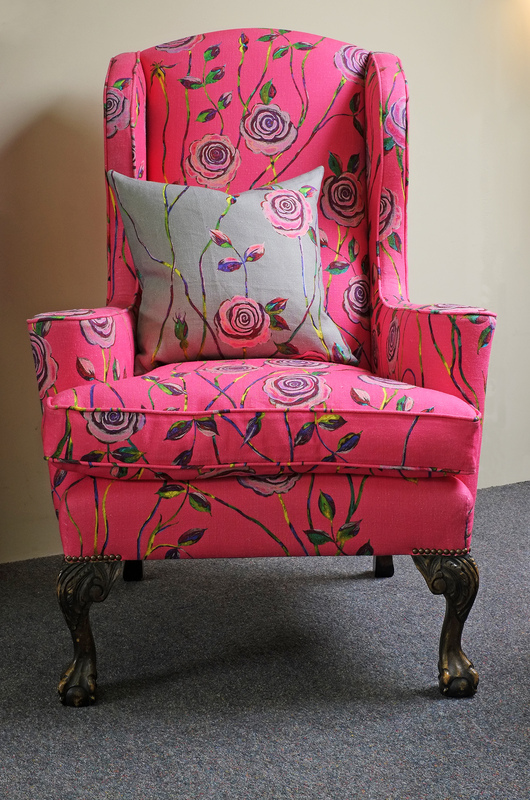 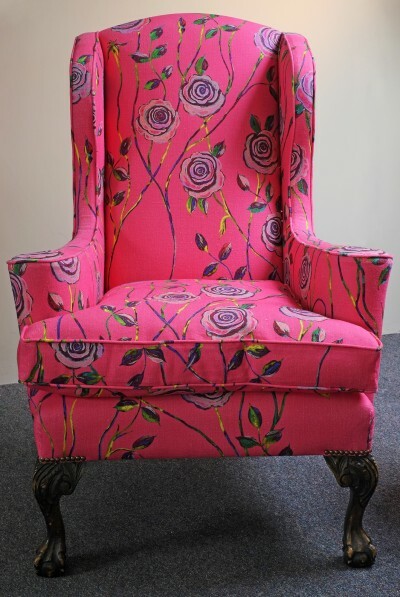 Bespoke version of this Rose Chair can be made using any other fabric from The English Rose Fabric Collection. 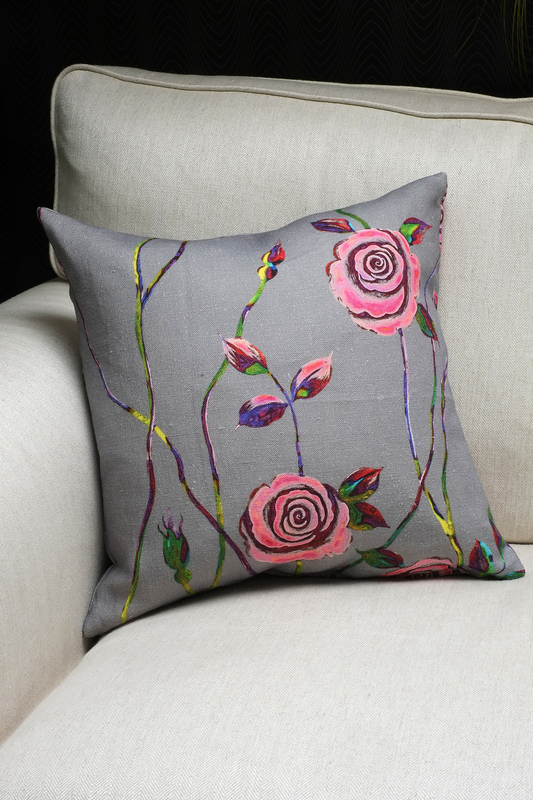 Pop Art Rose Cushion on Cool Grey Background. Pop Art Rose Cushions (on Light Grey and on Cool Grey backgrounds). 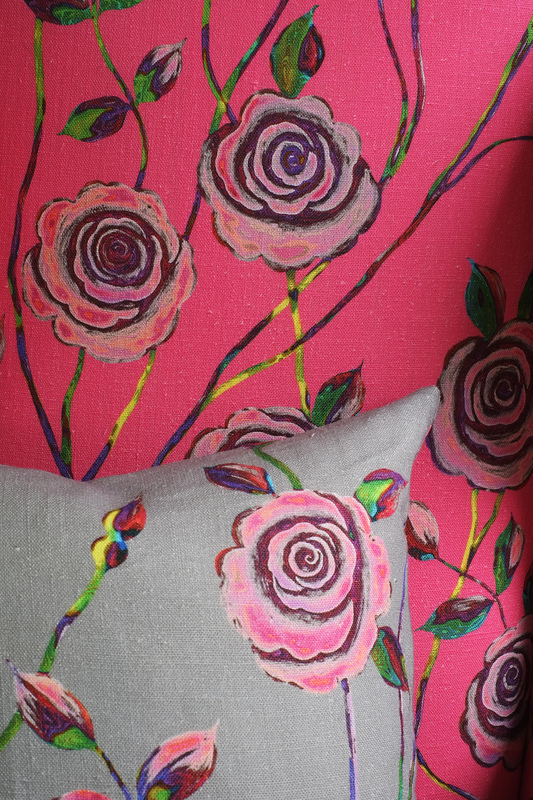 Rose Cushions can be made using any other fabric from The English Rose Fabric Collection. 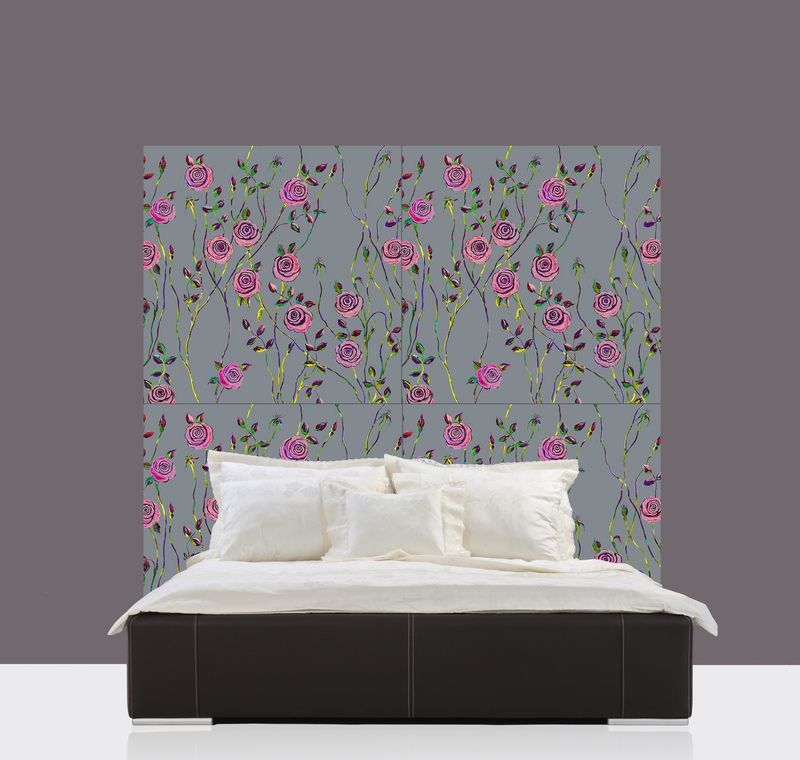 Various version of this headboard can be made using any other fabric from The English Rose Fabric Collection. 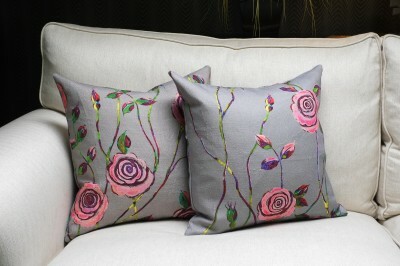 ← The English Rose fabric: Serene Rose.